After weeks of national finals and entry reveals, we now know all forty-one songs for this year’s competition. Our Eurovision 2019 Spotify playlist is filling up fast, as most of the competing songs are now available for listening. 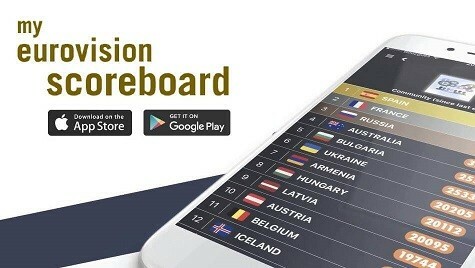 In our latest weekly update, Sweden reaches second place among Eurovision 2019 streams, while Armenia joins the list. Today’s update includes Armenia’s Srbuk for the first time. Unfortunately, Ukraine is no longer on the list following the national broadcaster’s withdrawal. You can listen via our playlist linked right here. The table above shows the current number of streams for each song as of today, Sunday 24 March. While 33 songs are currently available on the platform, the entries from Lithuania, Montenegro, Georgia, Serbia, Belarus, Ireland, Azerbaijan and Malta haven’t been released to the platform yet. Notably, Romania’s entry “On a Sunday” was replaced with the new Eurovision edit and thus we’re combining the total count with the earlier streams counted so far. Moreover, new versions from Spain and Latvia’s songs are summed up with the previously released edit. Italy remains in the lead — and by some distance. The track has accumulated more than 1.5 million daily streams in Italy alone and stands above 30 million plays. Sweden’s John Lundvik now comes in second position. Thus, France slips to number three with Spain at four and the Netherlands climbing one spot up to number five. Back in the top ten is Switzerland. “She Got Me” climbs three spots to number ten this week. Cyprus’ Tamta is only 10,000 streams behind — looks like we’ll see more changes in the coming weeks! This week’s only new entry is Armenia’s Srbuk. “Walking Out” comes in with 41,547 streams as of March 24. While this currently puts her in last position, the song is already her most streamed one on the platform. There’s still plenty of time for Armenia to reach the top. Interesting numbers, especially on Italy (34 million, wow!). Surprising for me are the high numbers of Spain and the relatively low numbers of the Netherlands, Switzerland (behind Portugal?…) and of course Russia. But on the other side one has to factor in the popularity of Spotify, which is very high in the Nordic countries and possibily also in Sothern Europe. Sweden so boring and overrated this year. Sounds so unmodern compared to their songs from the past years. This could have been a song in 2006, but is not standing out for me from many other good and modern songs this year. Would this be Lithuania or Ireland, nobody would care for this song. Probably, most probably, 200-300 listens for ‘Limits’ came from my account. Sweden has the best song! Well according to Spotify listeners yes. Spotify is what people listen too and if a song is high up it means that people do like it. Well, then if that is your criteria then Italy is a far better song and such songs that you loath and say is crap, like Portugal, is nr. 9! And maybe you should be more careful in your replies and aliases. Your strategy is becoming too obvious. Just looked it up .. 1,029,463 … Not sure where you got that random number. The entries being available for a longer period of time do have an advantage, sure. However it’s not possible to get data from countries as long as the songs aren’t charting inside the top 200 charts, which is the case for most of them which makes it hard to say where they come from – but also keeps the excitement until the contest! The statistics would be very interesting. Cause swedes use mostly Spotify and I haven’t seen excitement for too late fore love from non swedes…. If you step outside the wiwisphere you will see what people think. Just go to Youtube. I personally prefer the Swedish entry to all entries this year and genuinely want Sweden to win this year . . .
Read Youtube comments for the video you will see. Also go on to see reviews about Eurovision to see what people think. So the facade is crumbling. It takes one mild critique for you to start throwing stones. Sweden cannot always have the best song. When will you understand that! Probably never, as you blinded by your own jealousy. It’s an ok song, but with no chance of winning. Agree! So why does wiwibloggs report on them as if they are some predictor, when we all know otherwise? As someone from Eastern Europe with a Spotify subscription. I disagree.